As I mentioned in this post last week, if I find a piece I really, really like, I’ll buy multiple other items in the exact same color. Friday was pale blue, today is pale pink. I found these crystal-encrusted Valentino booties during the NET-A-PORTER sale (now sold out), and they were just too fabulous to pass up! Since I bought them several weeks ago, I’ve been scooping up other blush and pale pink items to match and continue the color scheme in other areas of my wardrobe. While I love to throw in some mixed prints here and there, I’m generally a very matchy-matchy person. 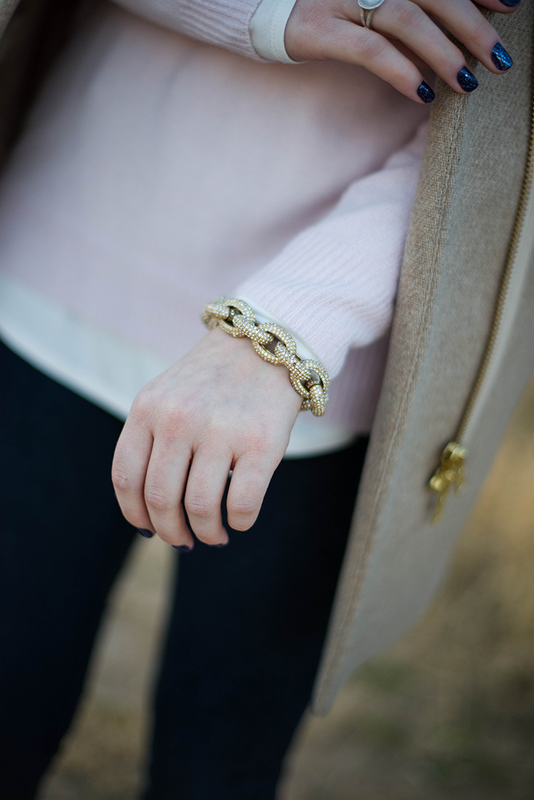 What’s great about the two pale hues I’ve been picking up is they are perfect for spring/summer! They soften my dark winter wardrobe, but will also transition amazingly with my creams and whites for the warmer months. Shop some of my other favorite creamy pink finds below and don’t forget to head back over to NET-A-PORTER to shop their clearance! It’s your last chance to buy designer pieces at up to 70% off – yesterday I picked up this Issa dress for spring (only $150, down from $750) and this perfect little LBD from McQueen. Love these booties, they are just perfect. 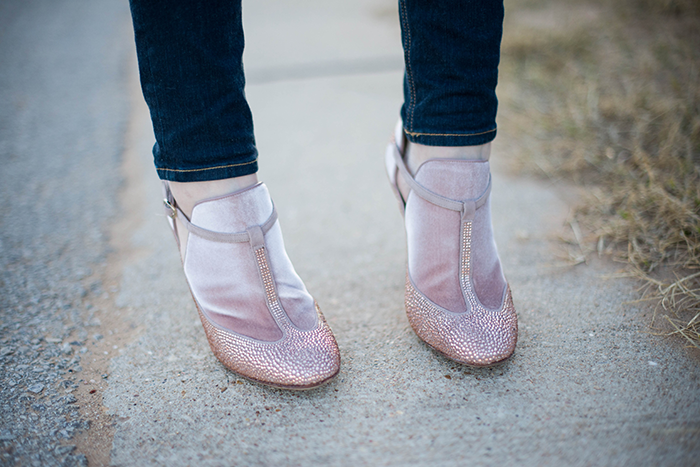 Love the blush tones and these booties are the cutest! Love this color pallet! So so pretty! Love this! you look absolutely gorgeous. that pale pink is perfect on you. LOVE LOVE LOVE! 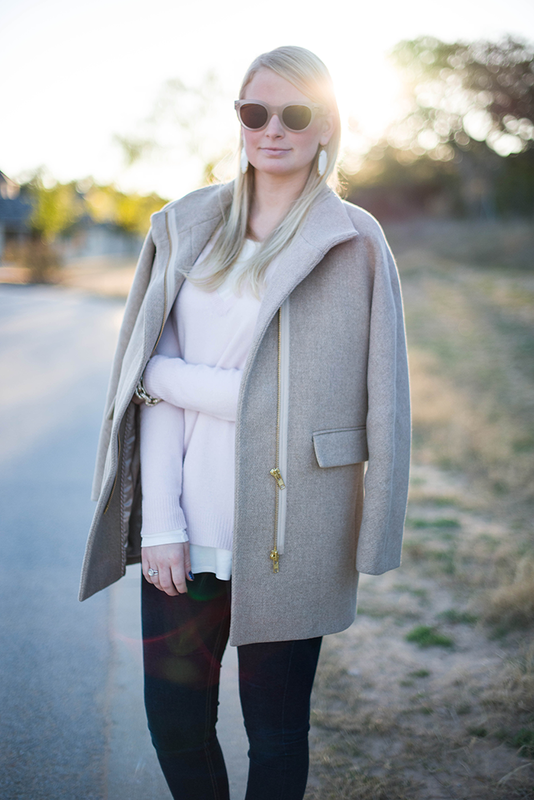 Totally obsessed with this one Merritt! Those shoes! Ah! 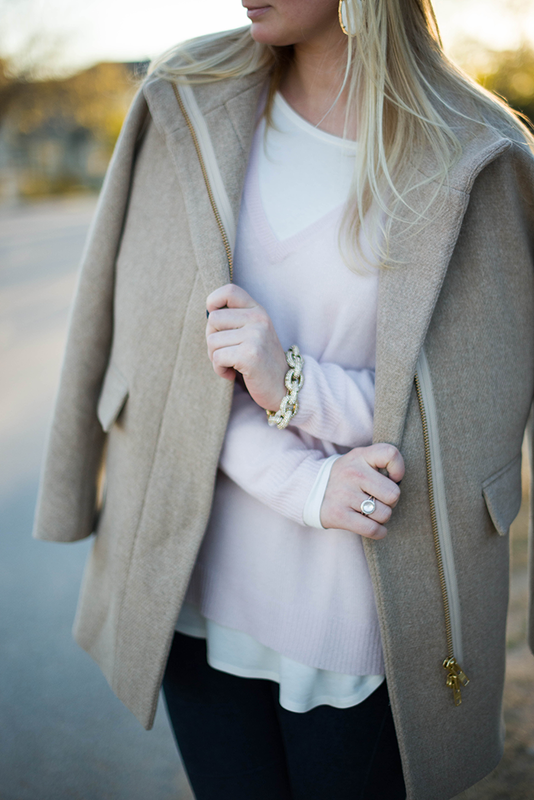 Love that blush/pale pink is emerging as a winter color. Definitely need to find something in this shade to add to my closet! You have such an amazing shoe collection. You always seem to find the most gorgeous pairs with fabulous details! MY favorite, favorite, favorite color!!! I love how you paired this look – so chic and feminine! I’ve been considering this coat for a while! I think I may need for NY this February! Hope to see you there! i’m so into everything blush colored right now. your whole outfit is adorable — especially those booties! Cute, Cute, Cute! Love everything about this outfit! 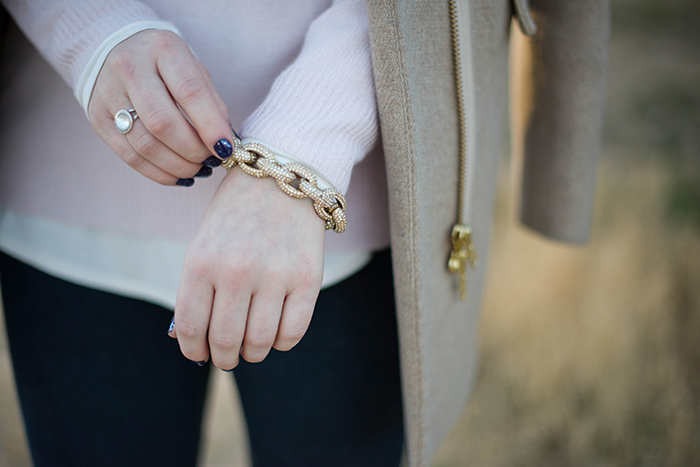 That sweater is the perfect blush pink color and I adore your J. Crew coat! 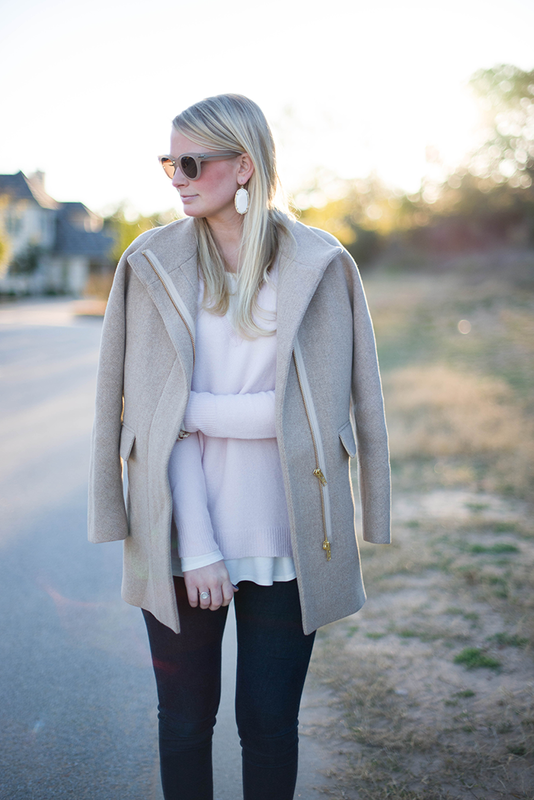 Love these blush tones on you! And those shoes are just stunning! Can’t take my eyes off them! I LOVE your shoes!!! Gorgeous! Love blush. This ensemble is awesome. Great picks. Those shoes are so unique I love them! GORGEOUS outfit! I love the shoes and color. those heels are so unique! this is just the fashion blog I’ve been looking for! I have been wanting that coat since it first launched! You look gorgeous in it! Great outfit! How lovely! I adore this color combination. I love anything in a blush color, but especially I love blush color in shoes. Gorgeous post. I’m super into this coat too! Stunning. Do you know the color of your coat? It looks lighter than the color sold this year. Thank you! I actually think it’s the same one from last year – unsure of the actual name though… sorry! !